Remember being a kid and getting to pull a new piece of candy from the Advent calendar each day as you counted down until Christmas? Well, we are again helping you bring back those nostalgic memories of yesteryears, but instead of a tiny piece of candy, we think you deserve a beer. In 2017, we launched what turned into one of our most successful products of the year, and this year, we are bringing the Craft Beer Advent Calendars back…and we’re really turning things up a notch for 2018! We have worked with a box manufacturer to custom build and print a beer case that looks awesome and will make for an amazing gift to all of your craft beer-loving friends and family. Not only is it really snazzy, but the lid has a perforated opening over each beer, so you can easily access the beer of the day, without spoiling the surprise of the upcoming beers. And, it’s not just the packaging that will blow you away this year. We’ve already begun crafting an excellent list of drool-worthy beers, including two new collaboration beers with a couple of our favorite local breweries. 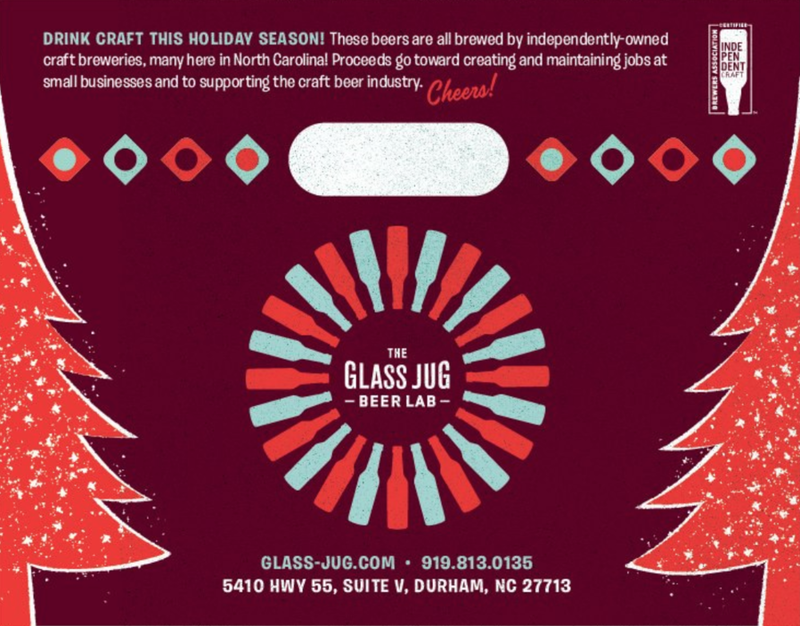 Be on the lookout for the Glass Jug & Bond Brothers exclusive beer, “Season’s Drinkings.” Additionally, we partnered with our former bartender and new head brewer at Fullsteam (Chais) to brew something really unique that we think you’re going to love. And, the only way to guarantee you get your hands on cans (yeah, we said cans of our beer) of these brews is to pre-order a Craft Beer Advent Calendar. 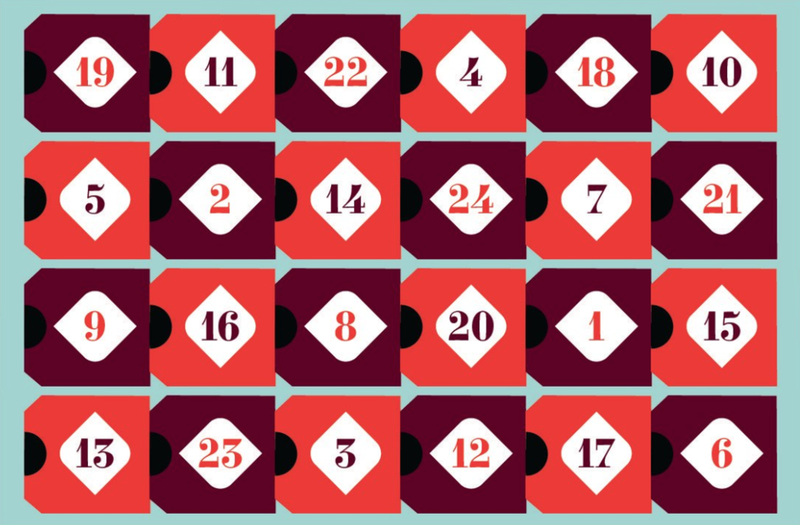 We also think that the Craft Beer Advent Calendar should be about more than just drinking a beer each day. That’s why all of the beers in the box are brewed by independent craft breweries, meaning there will be no beer produced by a mega-brewery or a brewery owned by a mega-brewery. So, your dollars will go to supporting real craft breweries who are independently owned. If you want to get your hands on one of these boxes, you MUST pre-order a Craft Beer Advent Calendar. Since these are all hand-packed, we have to source the beer and pack the boxes in advance based on how many orders come in, and it is a very time-consuming process, so we will not likely have time to pack any extras. To place a pre-order, simply fill out the form on the website to reserve your calendar. Within 48 hours, you will receive an PayPal invoice so that you can pay for your calendar(s). Your order will not be considered complete until payment is received. Pre-orders must be received between now and the end of October. Then, our team of elves will spend the next couple of weeks ordering and receiving all of the beer, then packing all of the boxes. Boxes will be ready for you to pick-up starting on November 17th and all boxes must be picked up by November 30th (you wouldn’t want to miss the first day of the calendar, would you!?). We hope you’re as excited as we are about these Advent Boxes. Go ahead and place your orders now and tell all of your friends to get their orders in soon, as we are capping sales at 400 boxes. Our elves simply cannot pack more than 400 boxes (we’re probably being fairly optimistic about our ability to pack that many! ), so we have to be firm about the limit.